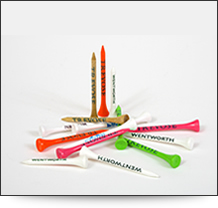 Our finest quality, shiny wooden golf tees printed in your choice of colour in three popular sizes. 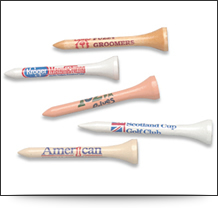 For branded corporate golf tees, logo printed golf tees or personalised printed golf tees, these wooden tees are a quality product made from the finest White Birch, available in a number of colours. Perfect for the environment, these coloured wooden golf tees are biodegradable. 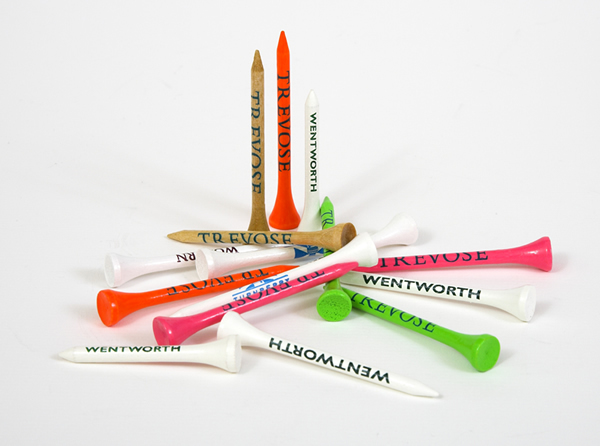 For an example of colours for our personalised wooden golf tees, simply select a colour from below. 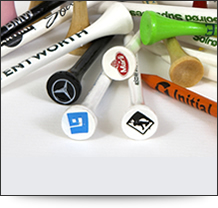 Printed wooden golf tees in single colour print with up to four lines of text or your company logo. Pantone™ colour matched printing to your requirements. 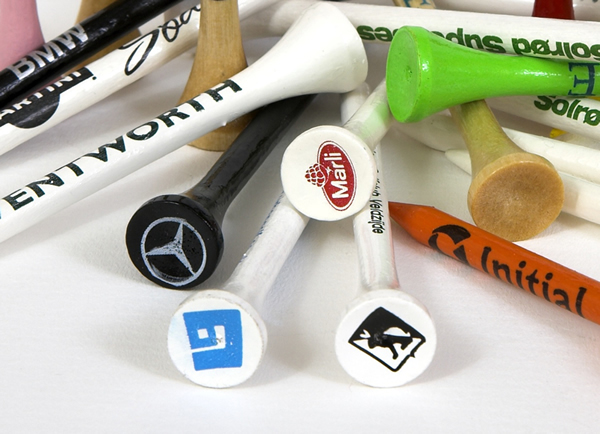 Printed wooden golf tees in a two colour print with up to four lines of text or your company logo. Pantone™ colour matched with your choice of two Pantone colours. 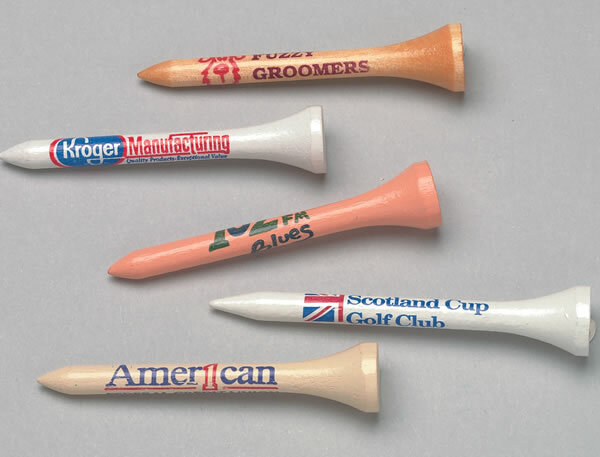 The most popular wooden tees printed. Ink or silk printed on the shank with a pad print (max. print area 8mm) in the cup of the tee. Also available as two-colour shank print.